Wellers hill Hardware is a premium supplier of hardware, landscaping and garden supplies Brisbane South. Come see our garden supplies and nursery based in the heart of South Brisbane, Tarragindi. Our team at Wellers Hardware supplies a great range of garden supplies in Brisbane South alongside a myriad of great advice stemming from years of experience in the landscaping industry. Alocasia - Commonly referred to as Elephant’s ear, Alocasia is one of our most popular gardening supplies. Alocasia ais a large evergreen perennial. Originating in Southeast Asia, the plant is characterised by its big veined shield or heart shaped leaves. Alocasia is suitable for growth in pot plants, garden beds and even greenhouses. Some species of Alocasia grow to be over 4 metres high. Alocasia prefer filtered light and well filtered soil to keep the roots moist without sitting in water. It should be planted in a warm spot and requires small amounts of watering, often. Begonia - Begonia’s are a type of succulent. They are known for their many colourful flowers and leaves. Originally found in the tropics, Begonia’s need moist, well drained soil to avoid water pooling and rotting the roots. Begonia flowers bloom in many colours including pink, red, yellow and white and can be grown both indoors and outdoors. They are drought tolerant and can grow to be 15 to 30cm tall. Begonias need to be positioned where they will get morning or late afternoon sun. Broms - Wellers Hill Hardware have a range of Broms or bromeliads available from our garden centre. The most popular broms we stock include: Brom neo billbergia, brom paintbrush, brom assorted, and brom rare. 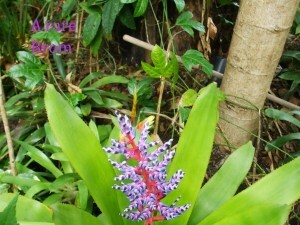 However, there are over 2700 species of bromeliads including the pineapple. Broms are an inexpensive plant that is easy to grow and requires very little attention. These plants can grow all year round and are suitable to most conditions whether hot or cool, sunny or shaded, indoors or outdoors, potted or growing in a garden bed. The growth of most bromeliads is not dependant on temperature or humidity making them ideal for growth in Queensland's harsh, humid climate. Chrysanthemum christmas - Chrysanthemums are an easy way to keep the bold colours in your garden during the cooler months of autumn and early winter. Christmas chrysanthemums are easy to grow and offer the reward of long lasting red flowers. Gardenia magnifica - As one of the most popular types of gardenias, gardenia magnifica is a beautiful plant with large, fragrant white flowers. Gardenia magnifica is ideal for hedging with dense green foliage that can grow anywhere from 50cm to 2m high. The flowers of the gardenia magnifica bloom from the beginning of spring right through summer. Impatiens christmas - Impatiens are a rewarding plant that can blossom soon after they are planted. The flowers can grow to be over 50cm high. Impatiens chirstmas will not survive frost and should be planted during spring or early summer for best results. Kalanchoe - Kalanchoe is a bushy succulent that can be grown in both pots or garden beds. Kalanchoe is a winter friendly plant that requires minimal attention. This type of succulent preferd to be more dry than wet and only needs to be watered once or twice a week. With four petaled flowers of pink, yellow, orange or red, kalanchoe will brighten any winter garden. Lavender - Lavender is a great addition to any garden known for its fragrant flowers and vibrant purple colour. It does however come in many varying shade of purple from the common deep purple to pastel purple and even white. Once established, lavender requires very little upkeep. Lavender is perfect for Queensland gardens as it thrives in warmer climates. Not only are the flowers beautifully fragrant, they can be used for drying and other crafts. 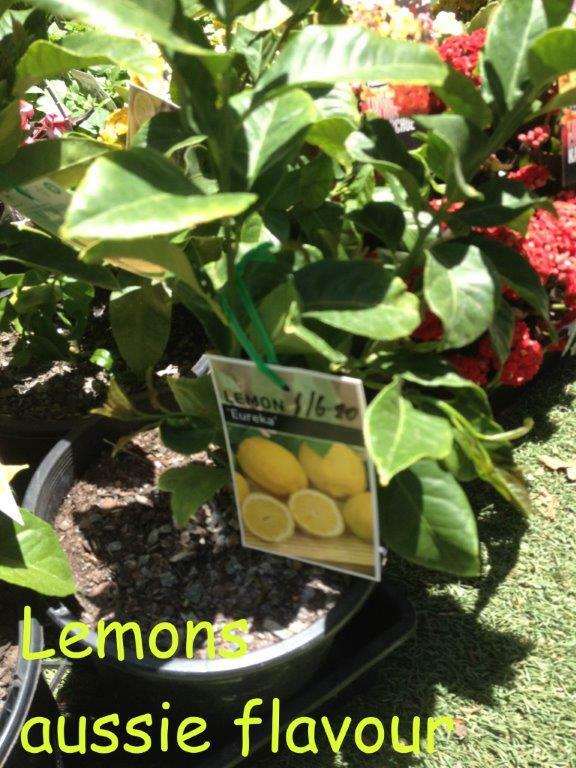 Lemon eureka - Lemon eureka trees are known for their flavourful fruit and lush foliage. Lemon eureka is one of the most common lemon trees found in home gardens worldwide. They produce bitter lemons with plenty of juice. In warm climates eureka lemon trees will produce lemons year round with a larger amount of fruit produced during the warmer months of spring and summer. Eureka trees can grow to be anywhere from 3 to 6 metres high. Marigold - Marigolds are part of the daisy family and are a popular plant that will bring cheery shades of yellow and orange to your garden all summer long. Marigolds can be planted any time after spring and will bloom its bright flowers all summer long right into early autumn. Marigolds are easy to grow and prefer direct sunlight with the ability to survive harsh summers. Pentas - Pentas are an attractive shrub with dark green leaves and small star shaped flowers. Pentas flowers come in a range of colours including white, pink, mauve and red. The flowers of the pentas plants are also nectar filled so they will attract butterflies and bees. This shrub will flower for the majority of the year and can last over a week in a vase after being cut. Email us at wellershardware@iinet.net.au or contact the store today on 07 3848 1682 to get a quote or organize a delivery.